RescuePack Pro™ is a unique and completely self-contained rescue system. 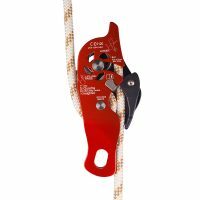 Technical rescue system for fire service and professional rescue teams – multi function with lowering, raising and rescuer safety capabilities. RescuePack™ Pro is a unique and completely self-contained industrial rescue system. It has been developed with and is extensively used by UK Fire Services and other industrial rescue teams. The industrial rescue system is designed specifically for rescue. 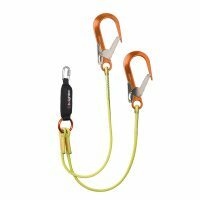 It provides for the safety of the rescuer at all times and allows for the quick and easy recovery of the casualty from any vertical situation. The casualty can be raised or lowered and RescuePack™ Pro has been proven on applications from tower cranes to confined spaces. Proven in numerous applications, from tower cranes to confined spaces, RescuePack™ Pro allows for the quick and simple recovery of the casualty from any vertical situation, while protecting the rescuer from a fall. RescuePack™ Pro has three main components at its core; the award winning PHOENIX QC harness, the patented QUADRA auto-locking device and the innovative HURRICANE rope grab. 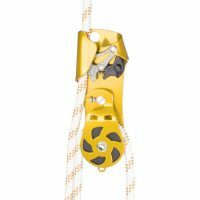 These and the other components are linked together with TECTRA low-stretch rope, which includes sewn terminations, eliminating the need for knots. This industrial rescue system is packaged for instant deployment and is simple to operate. RescuePack™ Pro comes supplied in a durable PVC kit bag. System can be extended with additional rescue equipment such as reach pole, stretcher, quadpod etc.